Singaporean Prime Minister Lee Hsien Loong has said the city and Hong Kong can work together and learn from each other. Chief Executive Carrie Lam was in Singapore for a two-day visit on Wednesday and Thursday. It was her first foreign trip since she became Hong Kong leader in July. When Lam was the development secretary between 2007 and 2012, she visited Singapore to attend international conferences almost every year. Carrie Lam at the Singaporean Arts House. Photo: Facebook/Carrie Lam. During the recent trip, Lam visited the Civil Service College, the Singapore Urban Redevelopment Authority and GovTech Hive – an innovation lab for digital services, among other institutions. 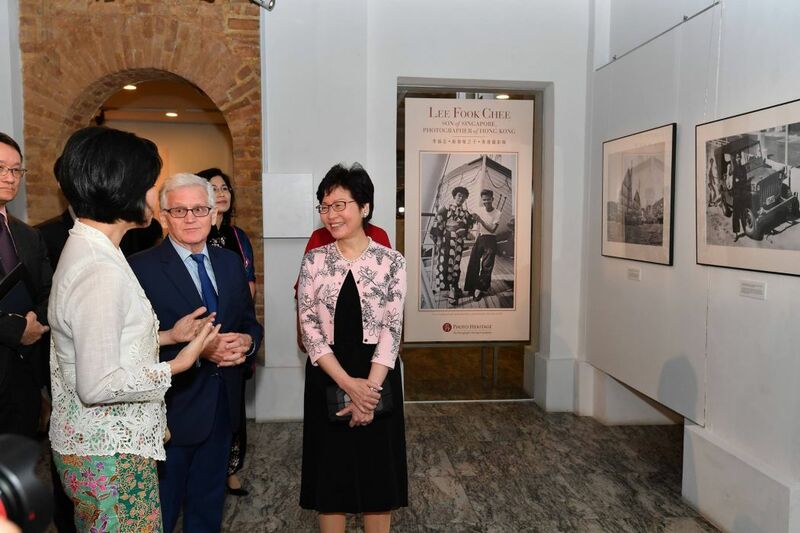 She also opened a exhibition featuring 1950s Hong Kong through the eyes of Singaporean photographer Lee Fook Chee. 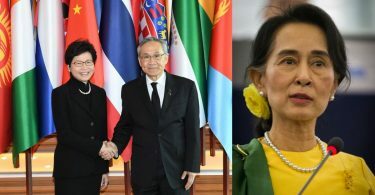 Lam said she met with female officials in the Singapore government at a dinner hosted by the Minister for Culture, Community and Youth Grace Fu, whom she has known for many years. “For a period, Grace and I were the only woman minister[s] in our respective governments!” she wrote. 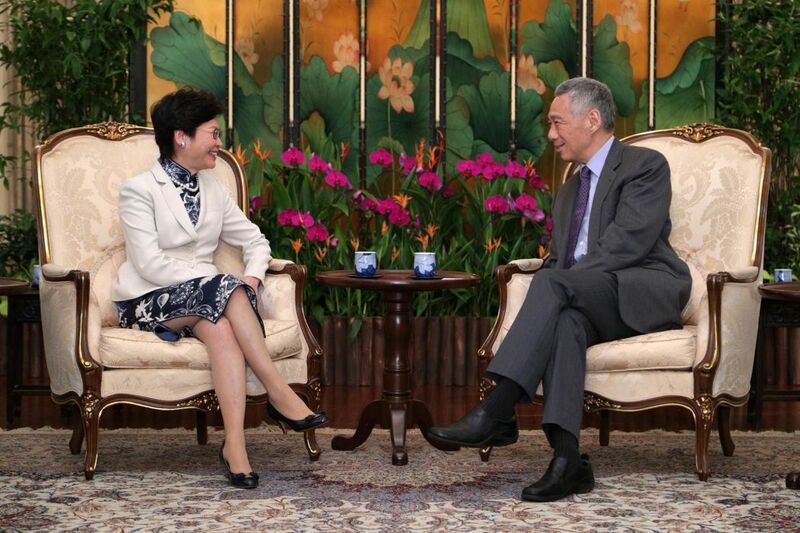 Carrie Lam and Lee Hsien Loong. Photo: Kenji Soon/Facebook/Lee Hsien Loong. 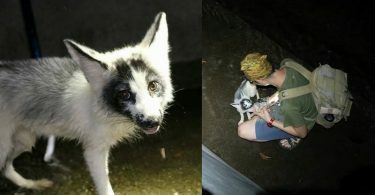 Lam flew to Thailand on Thursday night to continue her Southeast Asian trip. Lee also welcomed the recently concluded free trade agreement between ASEAN and Hong Kong, and looked forward to its early implementation. “On a lighter note, Mrs Lam recently started her Facebook Page so we got the chance to swap Facebook tips!” he added.